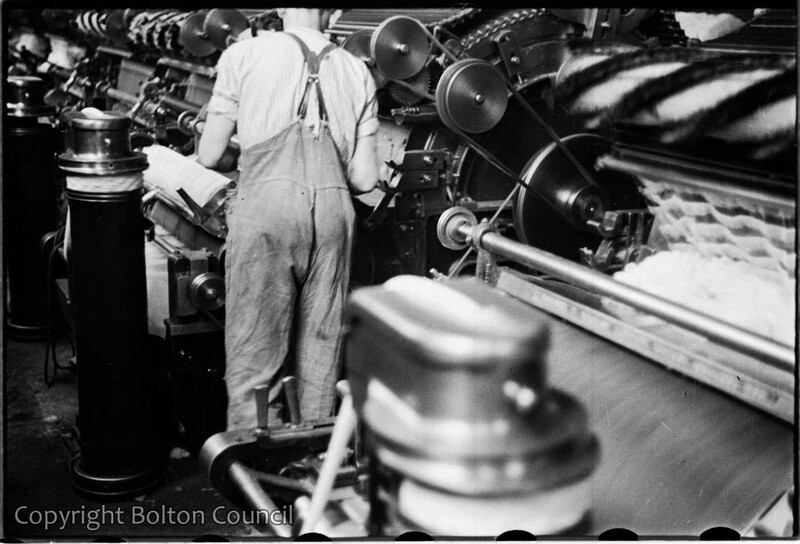 An engineer maintaining the looms in a Bolton mill. It is likely that this mill belongs to the Barlow family who helped to fund the Mass Observation study in Bolton. If you can help us to identify this mill then please leave a comment below.